PatchCare®, addressing the issues of loneliness and isolation as well as improving health and wellbeing. For some people loneliness can be a killer – literally. Imagine then, if you had the choice of having someone pop in to see you several times a day to make tea, stop for a chat and enjoy spending time with you, over and above your requested care calls? Well now it’s possible thanks to the recent launch of Caremark’s innovative new way of delivering home care through a system called PatchCare®. This new in-home care system will become available later this year to Caremark’s network of offices, for those who wish to implement it. The brain child of Caremark’s CEO, Kevin Lewis and trialled by Sue Hills & Sarah-Louise White, co-owners and directors of Caremark (Mid-Sussex & Crawley), this simple, yet revolutionary way of providing home care is aimed at reducing loneliness, improving client wellbeing, as well as delivering a reduction in costs for all parties. So, what is this new home care system? PatchCare®is a pioneering system which harnesses the positive aspects of both residential care homes and in-home care services. 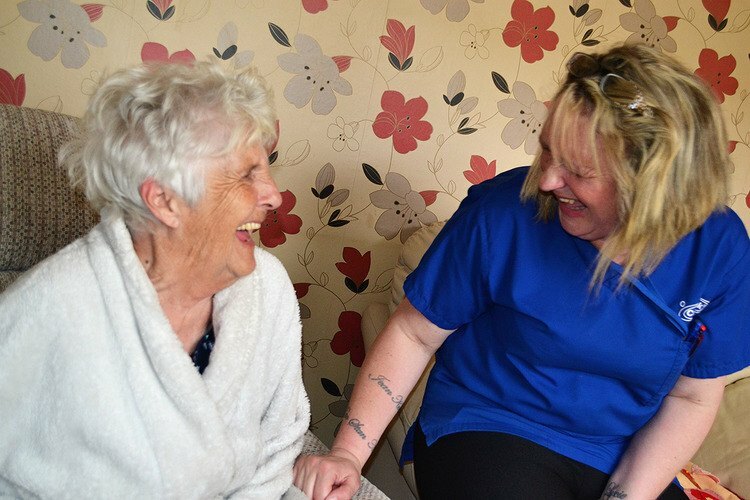 It’s all about creating communities through care, reducing isolation, enabling and empowering people to feel part of life and supporting them to be as independent as possible whilst offering them the best of both worlds – social engagement and the privacy of their own home. The system sees a dedicated team of care workers support clients in their own homes, in groups of no more than 10, in a small geographical patch. This allows clients the opportunity for more visits during the day when needs arise, much like the support they would receive in a care home, rather than being forced to receive support at set times which tends to be the current model funded by local authorities.